The Lenze quality standards for development, material, selection, production and assembly mean that the new spring-operated brakes fulfil the highest requirements. These electromagnetically released spring-operated brakes can be used in all cases where movable masses have to be braked in the shortest possible time or have to be held in a defined position. 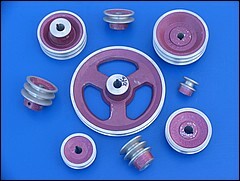 The braking force is provided by compression springs. 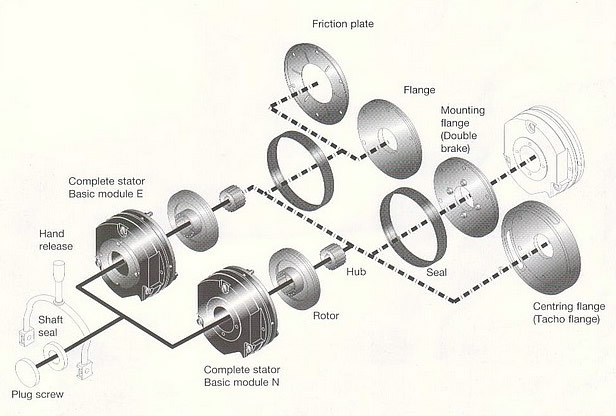 This means that the frictional brake torque is produced in the non-current state, i.e. also in the event of a supply failure. The brakes are released electromagnetically. The new BFK458 range replaces the spring-operated brake types 14.448 / 14.449 and 14.450. The main components of the new modular system consist of the modules E (adjustable brake torque) and N (brake torque not adjustable). This system offers flexibility by combining the basic modules with further modular elements to cover the widest possible range of applications. - Standard voltages 24V, 96V, 103V, 170V, 180V, 190V, 205V. - Graduated torques from 2-600 Nm. - Short delivery times for the complete range because of optimized logistics. - CSA-NRTL design as a standard (approval scheduled for 6/98), that means that the product complies with the applicable UL and CSA requirements. - Modular design for almost all applications. 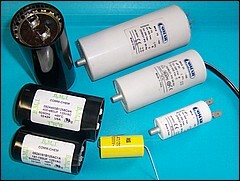 - Replacement product for the 14.448 and 14.450 series. - By friction in dry running. - Preset air gap, simple and fast mounting. - The rated torques are achieved by a special machining of the friction faces already after a few operations without running-in procedure. - Fixed bearing not required at the brake side. - The insulation class F (155 degrees C) ensures a long life of the winding. - The brakes are dimensioned for 100% duty time (current applied to the brake). - Long, low-wear rotor/hub connection with proven evolvent toothing. - Low-wear, asbestos-free friction linings. - Air gap must be checked depending on the friction work. - The continually high product quality is based on the certified quality assurance system according to ISO9001. - Manufacturing and testing according to VDE 0580. - Hand release for the manual release is available for all sizes; direction of release and mounting at both sides. (Exception: tacho brake). - Different types of corrosion protection and the enclosure. - Air gap and wear monitoring by microswitch (as from size 12). AC Hargreaves have been supplying, modifying and refurbishing mechanical pump seals for over 30 years. We stock a large range at all times. Our seals are accompanied by our high levels of service. Modifications including hard faces such as silicone and tungsten for dirty water application to stainless steel for the food industry are a sample of the mechanical seal services we have to offer. Quality cast iron slide rails are very useful for mounting motors in situations where the ease of adjustments are required, eg, for the tensioning of driving 'V' belts. 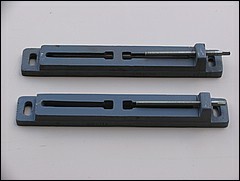 Slide Rails are available in most metric frame sizes. The SSW-07, with DSP (Digital Signal Processor) control was designed for high performance motor soft start and protection with an excellent cost-benefit ratio. Easy to set up, it simplifies start-up activities and daily operation. 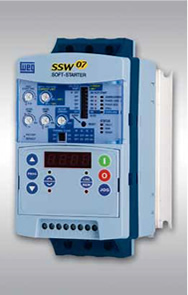 The SSW-07 is compact, optimizing space in electric panels. 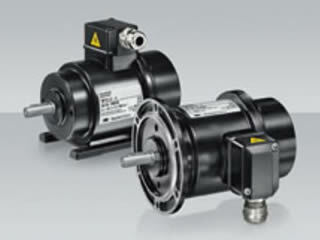 Incorporating electric motor protection. It adapts to customer needs through its easy-to-install optional accessories. A keypad, communication interface or a motor PTC input can be added. The SSW7000 uses state-of-the-art technology to provide start / stop control and protection for three-phase medium voltage induction motors. Developed to ensure excellent performance, it prevents mechanical shocks from the load, protects the motor against related burnouts or current surges in the power supply and thus, offers a complete solution for various applications. 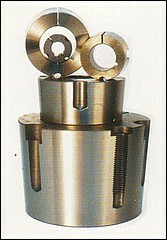 - B10 with Euro Flange, 11mm shaft. 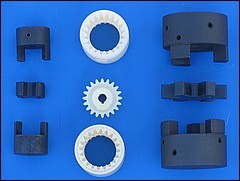 Provides the quickest and most effective way of fitting pulleys and sprockets on to shafts.